If I had a pound for every time I have been asked for advice on the best footwear for hiking in Scotland, I’d be a rich man. One of the most commons questions we hear before people join a hiking trip is whether it’s ok to hike in trainers/sneakers/shoes and if boots are really necessary. The reality is it’s not black and white – there are pros and cons to both. Yet we generally recommend you wear boots when hiking in Scotland. In this short blog, we take a look at the benefits of each but why you’re probably better off with a boot on your Wilderness Walking trip. UPDATE: We’ve re-visited this blog to provide even more detailed advice on suitable hiking footwear. Each hiking trip and location will bring different factors to consider but the most important will always be safety and comfort. 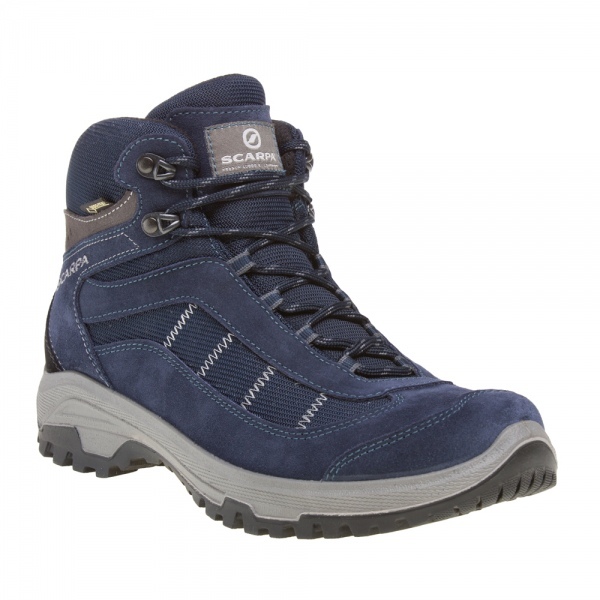 So what footwear do you need to hike in Scotland? In the Scottish Highlands, the terrain is pretty rugged and we often go off the trails and over rough, uneven and sometimes wet ground. Never underestimate the importance of keeping your feet dry, warm and comfortable. Most of our walking trips are a week long so you need to ensure that your feet are well protected from the elements and your boots will keep you upright on slippy trails. Scottish weather is renown for offering up four seasons in one day so be prepared with good waterproof boots and you’ll never have soggy feet. We offer a range of trips but even on our easy trips you are likely to encounter wet and rocky terrain so good ankle support and waterproofing are musts. We’re adamant about finding the best views for you and sometimes that means a little bit of extra effort through muddy terrain to gain access to them but it will all be worth it – we promise! Ankle Support - Myth or Reality? Ankle Support – an oft-cited phrase that’s rarely explained. Proponents of boots will tell you that having the extra ankle support of a boot is essential when hiking to reduce the risk of a sprained or strained ankle when moving with a heavy load. That’s why soldiers wear high boots. Let’s think about that. A sprain happens when your foot is over-extended beyond the limits of the ligaments and muscles, causing a rupture or tear. It typically happens with a slip or if you ‘go over’ on your foot, hyperextending it. To entirely prevent that a boot would have to be so close fitting that it eliminated your ankle mobility completely and locked it in place. To walk in such a boot would be a nightmare, and the fact is that boots do not prevent the possibility of going over on your ankle. Whether they reduce the possibility or not… well, the jury is still out. As far as we know, there are no scientific studies on this. The one thing that’s proven to reduce the chance of a sprain is good ankle strength and flexibility i.e it’s about your fitness more than your footwear. But there’s another thing that boots do for your ankles that shoes do not – impact protection. In any terrain with loose rocks shoes leave your ankle bone exposed to injury from impact whether you accidentally bang your ankle on a rock, one rolls into you or you slip and catch it on something. In that situation having a thick piece of material over your ankle can definitely save you from an uncomfortable bruise or worse. Verdict: Boots may not provide any additional protection against sprains, but they do provide physical protection to more of your foot. That can make a big difference if you are spending a long day on the hill. Breathability is the concept of how well your shoes let the sweat of your foot evaporate through the material. If your shoe does not breathe then your feet end up drenched in sweat. You’ll find yourself in all sorts of different environments and weather conditions – hiking boots are created to be breathable for a number of situations. There is still a pervasive idea that boots do not breathe as well as shoes so your feet will get sweaty, making them less comfortable and increasing the chance of problems such as blisters. Although it depends on the material of the boot this idea is basically outdated. Modern boots are often made of exactly the same materials as hiking shoes and indeed they are often matching models – the boot the same as the shoe just with a higher cut on the ankle. So really there is no problem with breathability for boots. Leather boots, if well looked after, will actually breathe really well and keep your foot comfortable in all but the hottest summer days. Verdict: Boots breathe just as well as trainers in all but the hottest weather. Modern hiking shoes with waterproofing membranes such as Goretex are made in exactly the same way as waterproof hiking boots, so why should they be any worse at keeping the water out? The answer is they are not until the water comes over the side. Boots have a higher side which means you can stay dry in deeper water, boggy patches or terrain with lots of wet vegetation. With a decent boot, you can even cross straight through shallow streams and come out dry and happy on the other side. Waterproof hiking boots vs Waterproofing membranes (Gore-Tex). Which is better? The other advantage of the high boot cut is that it also helps keep out bits of vegetation, stones etc. In summer it can get really annoying when little bits of heather break off as you walk through it and they work their way into your shoes and get stuck in the weave of your socks! Verdict: Boots will definitely keep your feet drier, especially on rainy days or on wet ground. One definite advantage of boots is that they are generally made with a very deep, positive grip on the soles. Often the sole is made of a much more durable material such as Vibram which will wear much more slowly than the softer materials generally found in trainers. And as you will tend to wear your boots only when hiking, the soles last much longer. That helps to keep you safe and injury free as a shoe that has started to wear smooth becomes a slip risk. Shoes also tend to have a thinner sole, and while some people prefer the increased awareness this gives you of what’s under the foot, you don’t necessarily want to feel every stone. It can become very uncomfortable in stony areas if the ground creates uneven pressure points in your feet. Verdict: Boots are generally grippier on rock and wet ground, but if your shoes are new they will probably be ok. 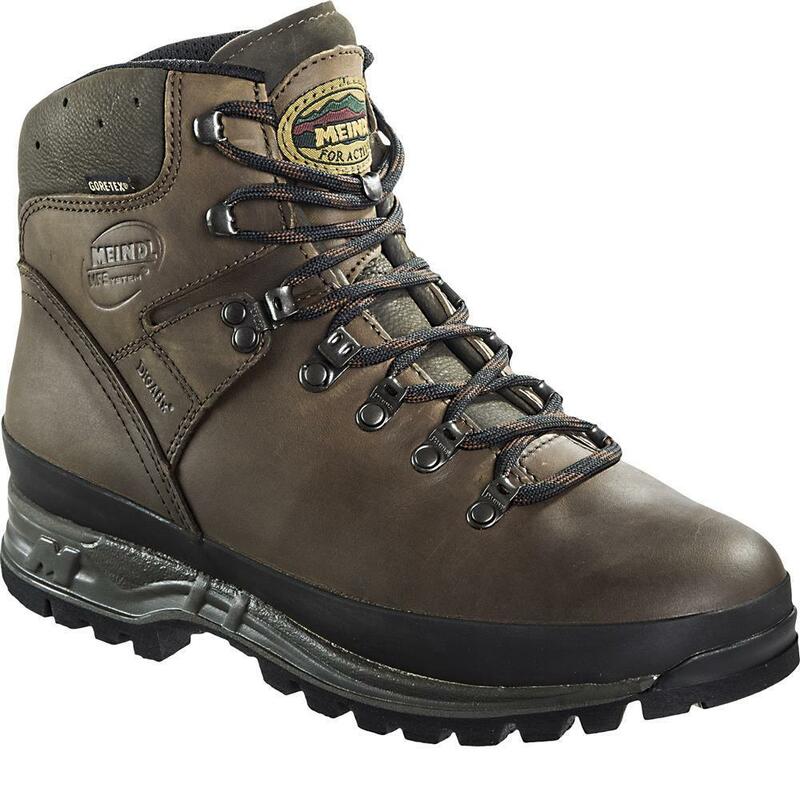 The thicker sole of a boot also protects your feet from rocks and provides a stable platform to stand on. Back in the day when boots were made from stiff leather and dense rubber they needed to be ‘broken in’ i.e worn and used until the material softened, flexed in the right places and shaped itself to your foot. There is a perception that you still need to do this with boots, and it’s true that it’s sensible to wear any new footwear for a while before hiking so your foot can get used to them. But modern materials and improved ergonomics mean that ‘breaking in’ is not nearly so much of an issue these days. 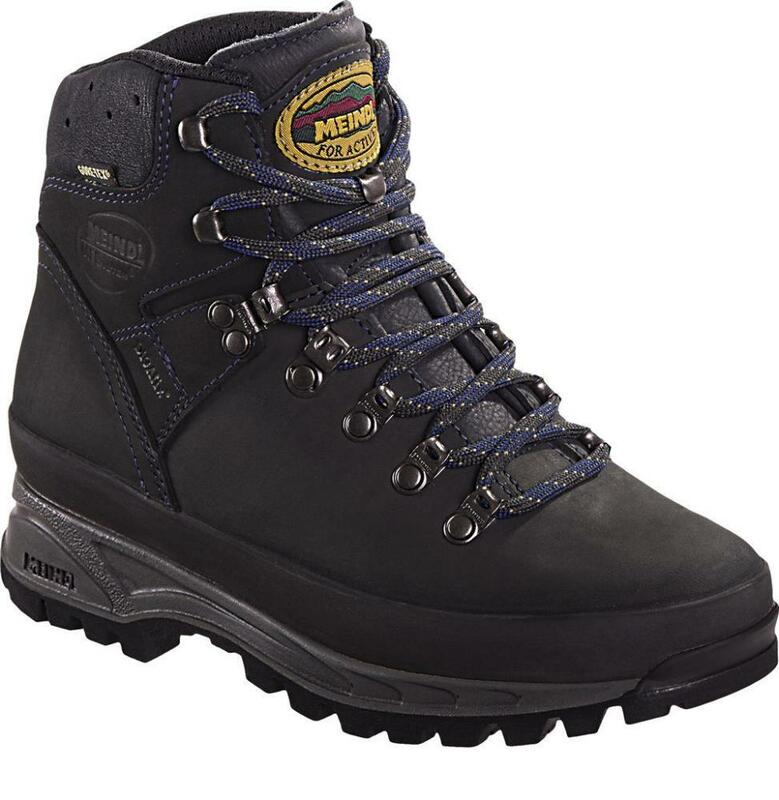 If you buy a boot that has been properly fitted and is a good match for your feet you should be able to hike in them from day 1 without problems. Our travellers having a break to take a moment to gaze at the surrounding beauty. The soles of boots used to be stiffened with steel shanks in order to make the boot more rigid, but these days boot soles are designed with much more intelligence. They are stiff in the right place under the foot but bend in the right bits, and are often ‘rockered’ under the toe which enables a very comfortable walking action. Many outdoor footwear companies today actually make 2 versions of their products – a shoe and boot version which are pretty much the same but the boot has a higher cut on the ankle. Inside it’s built with the same fit and comfort as the shoe so the argument that shoes are comfier doesn’t really have a leg to stand on. Verdict: There’s no reason for modern boots to be any less comfy than shoes. They are often built on the same design. One good argument in favour of the shoe is that the lower cut around the ankle enables much more freedom of movement for your foot. And it’s true, no doubt about it. Then there are the times you want to take your boots off and feel the sand under your feet. But do you need that? I have certainly enjoyed the improved mobility of my foot when out on both hills and mountains – running, climbing and scrambling. But those activities all require more motion from your foot and a greater range of motion to match foot to terrain than a walking gait. For hiking, I’m taking a boot every time. Hiking means tens of thousands of steps in a repetitive way, and boots are designed to enable this motion while protecting and supporting the foot. The other argument is that boots are so much heavier than shoes and the extra weight will lead to increased fatigue and clumsiness. 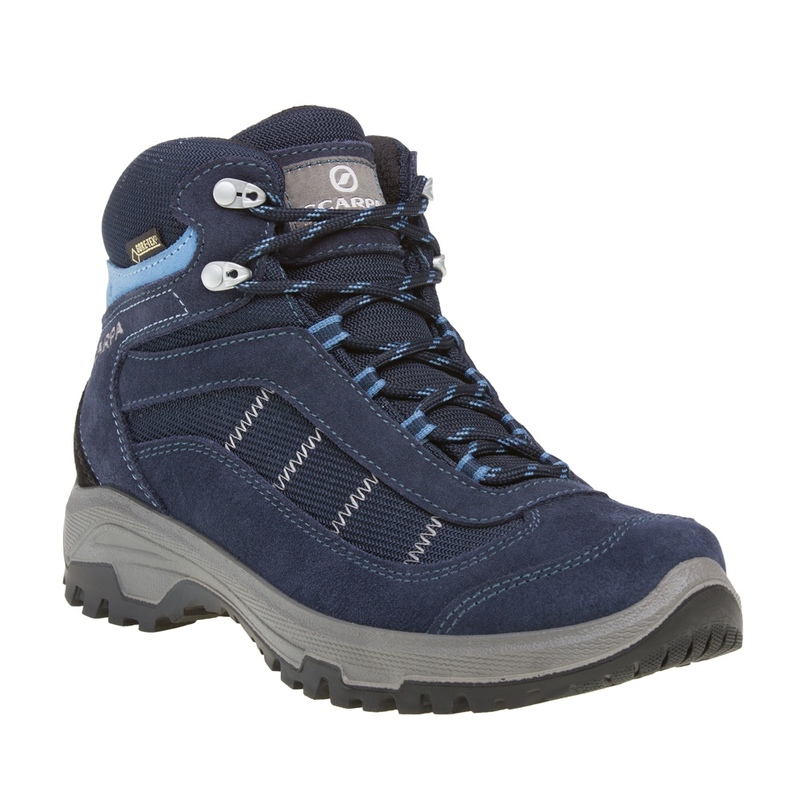 But again, modern boots are often the same as shoes, and there are numerous lightweight options available. No-one needs to be burdened by boots that are too heavy these days. Verdict: Yes, shoes give your foot more mobility. But you don’t necessarily need it, and modern lightweight boots weigh little more than shoes so there’s no need to worry that boots will be more tiring to walk in. 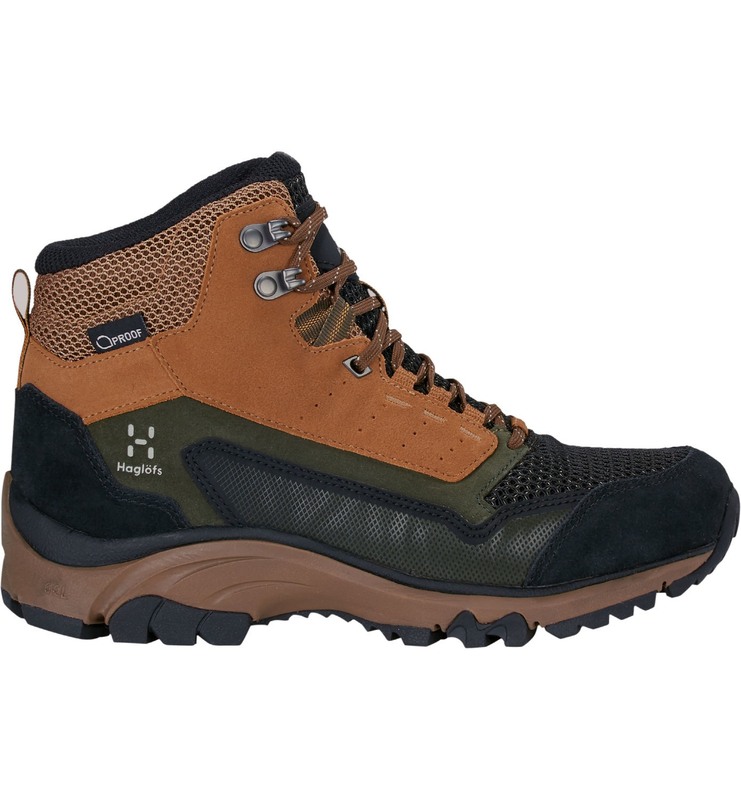 Go for boots that provide enough cushioning to withstand the impact of a week’s worth of hiking. 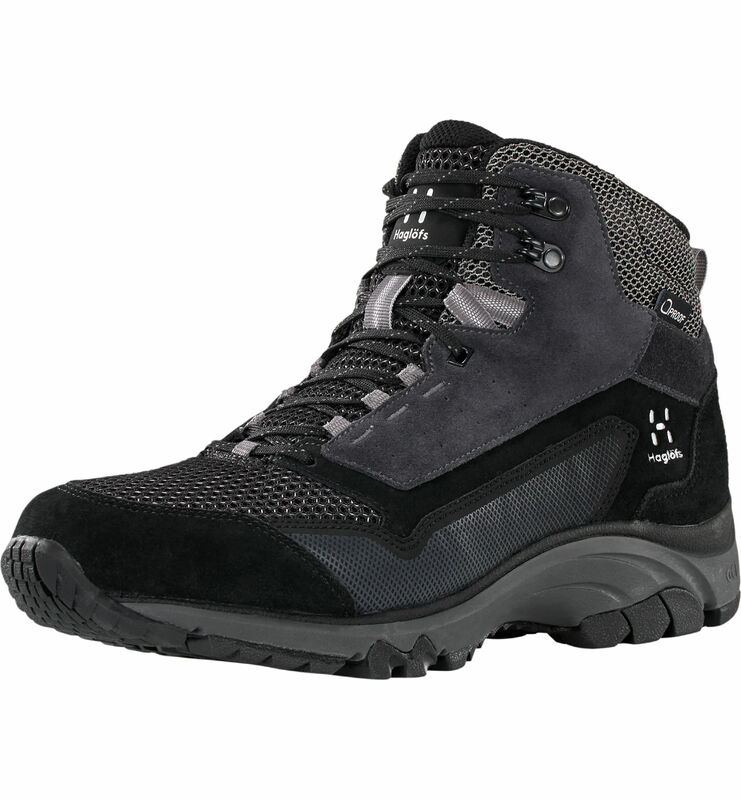 We always recommend sturdy, fully waterproofed boots with good ankle support and a decent grip on the sole. We run walking and luxury walking holidays right across the Highlands and Islands of Scotland. Year after year we receive outstanding feedback from our travellers telling us just how we helped transform their perspective. Watch this video of Catriona MacKenzie who we arranged a surprise tour for after she unexpectedly took ill her original tour to the Northwest Highlands. She sums it up perfectly.